Interstate 10 is the southernmost cross-country highway you can take in the US. It runs about 2,500 miles from Santa Monica, California to Jacksonville, Florida, and passes through major cities like Phoenix, San Antonio, Houston, and New Orleans. This southern US route is perfect for full-timers or snowbirds who don’t want to stay in one spot all winter. Interstate 10 passes the RVer’s haven of Quartzsite and lots of scenic parks, wildlife refuges, RV resorts, and campgrounds. These are twelve of our favorite parks along the way that you will want to take the exit for. 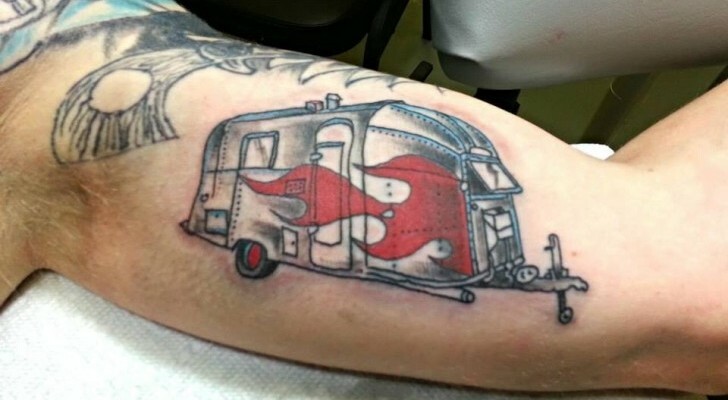 We mapped them out on RV Trip Wizard (seen above), where you can also find and add in more campgrounds and points of interest. Your first stop heading eastbound via I-10 will be a couple hours east of Los Angeles near Palm Springs. 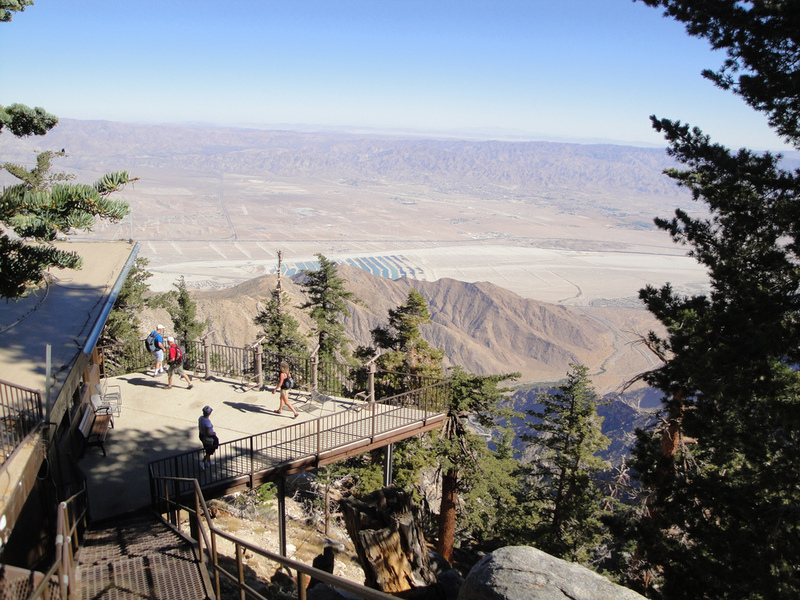 Mount San Jacinto State Park is a short detour off the highway, and well worth the stop to experience riding the world’s largest rotating tramcar. 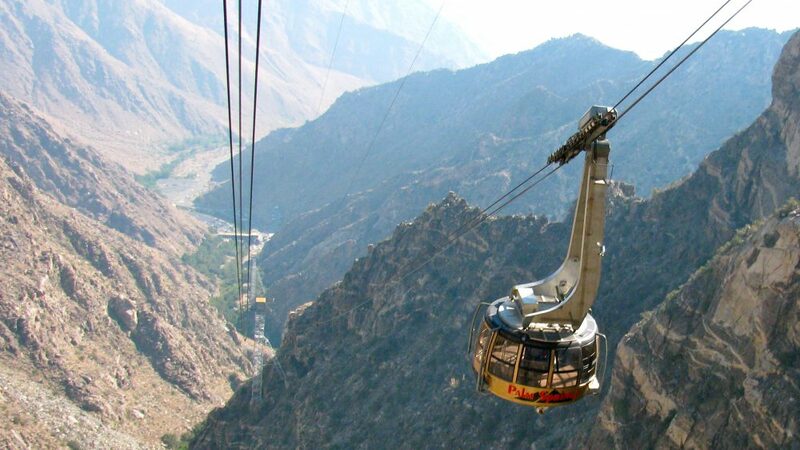 You can board the Palm Springs Aerial Tramway in Chino Canyon for a scenic ten-minute ride to the top of the mountain. The tramway departs from the Valley Station and slowly rotates as it ascends 8,516 feet in elevation to the Mountain Station. As it rotates, you get amazing, panoramic views of the rugged Chino Canyon cliffs. 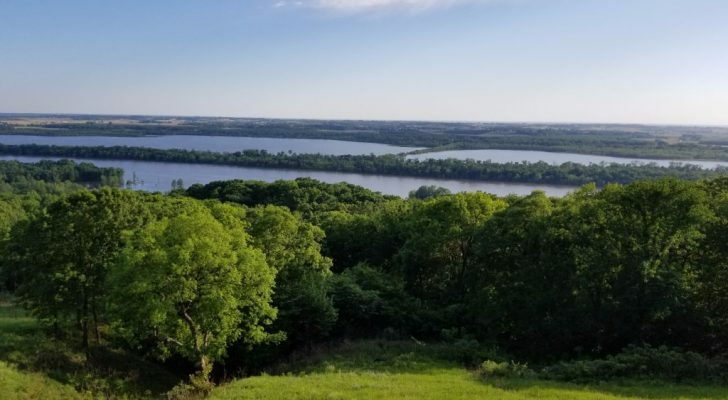 Once you’re at the top, you can dine in two restaurants, hike over 50 miles of trails, visit the observation decks, gift shop, two documentary theaters, or the natural history museum. The park also has an RV-friendly campground near Idyllwild, California. The sites are pull-through and equipped with full hookups. You can read more about the campground here. 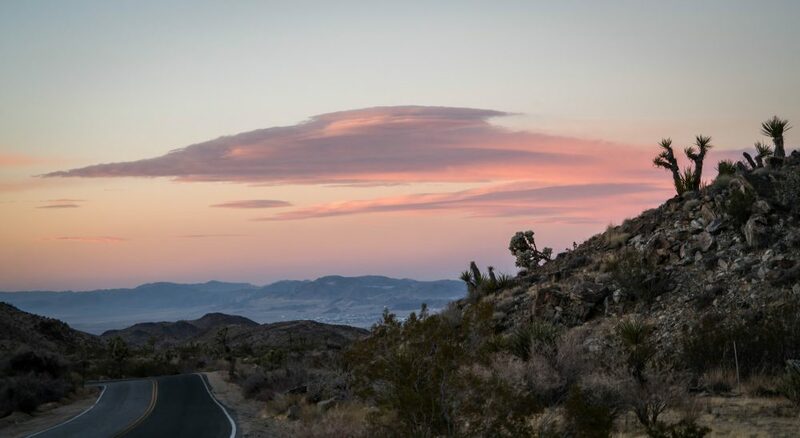 If you continue eastbound, you’ll reach the southern entrance to Joshua Tree National Park off Interstate 10. This vast park in the Greater Palm Springs area has a rocky desert landscape best known for its twisty Joshua Trees. 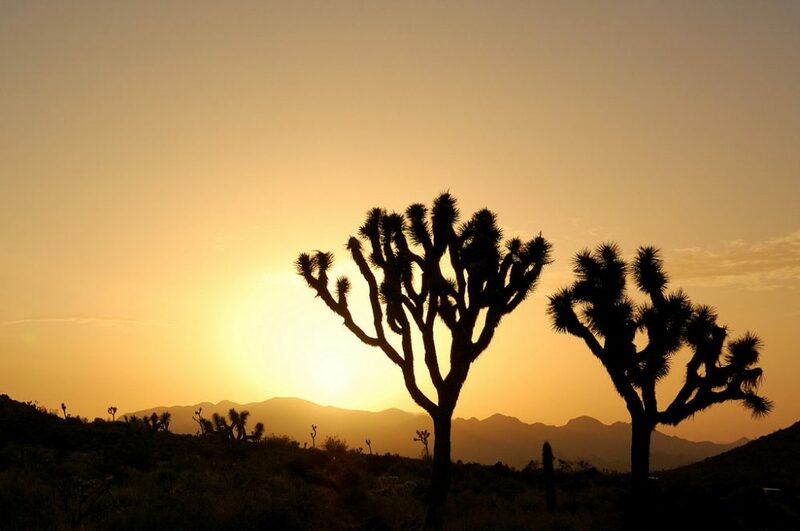 The National Park has several trails you can take for closer views of the trees and various desert plants. The hikes range from easy, doable trails for everyone in the family to more challenging treks that should never be attempted on a hot day. You can see all of the trails in the park categorized on the NPS website here. 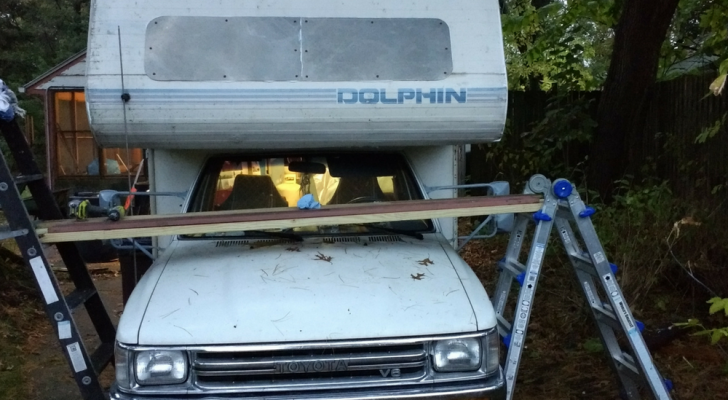 There are also many options for boondocking in the park. The NPS-run Jumbo Rocks Campground, Indian Cove Campground, Cottonwood Campground, and Belle Campground all have sites with no hookups that better fit smaller rigs, vans, truck campers, and tents. 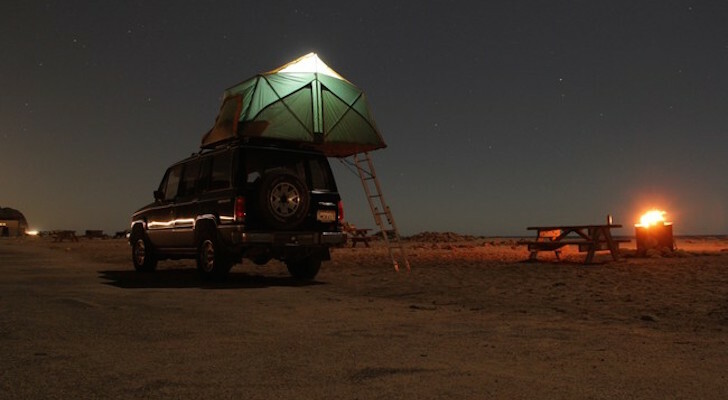 Be fully prepared to dry camp in the desert and make sure you have enough water for your trip. 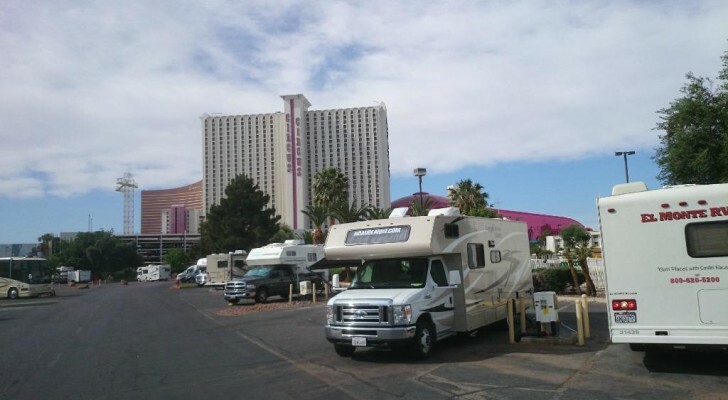 Several RV resorts with full hookup sites are close to the park as well. Some of the popular spots include Palm Springs RV Resort and Indian Waters RV Resort & Cottages. 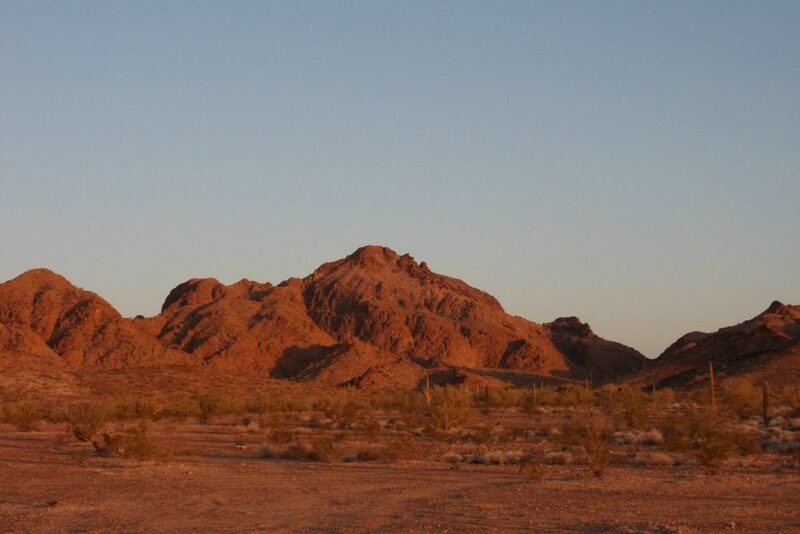 As you make your way eastbound, you’ll pass the snowbird town of Quartzsite, and not far from there, you can branch off to see the KOFA National Wildlife Refuge. 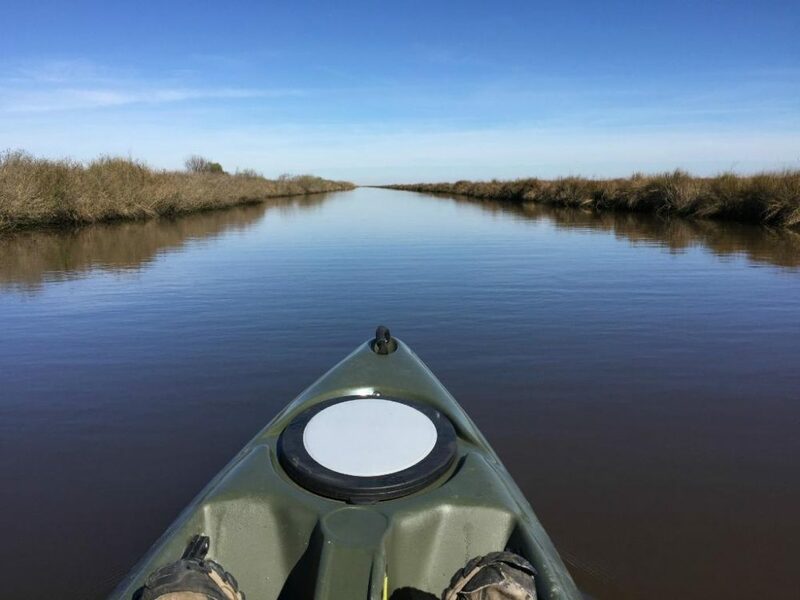 This wildlife refuge is large and remote with no paved roads or facilities of any kind, however, they do allow free dispersed camping for up to 14 days at a time. The refuge is also a great place for hiking, wildlife watching, and photography. It’s open all year and there is no entrance fee. 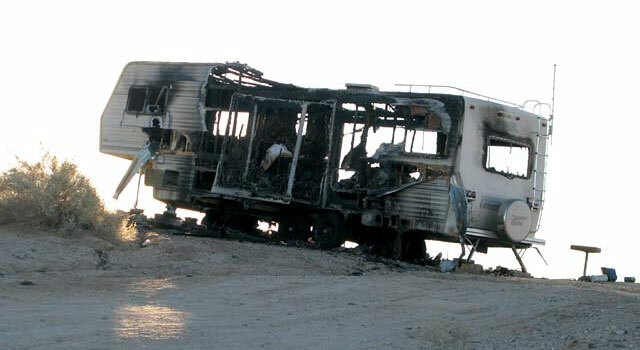 You can read more about camping in KOFA in this Do It Yourself RV article. After passing through Phoenix, the landscape quickly returns to desert as the highway leads southeast towards Tucson. You’ll want to stop and see Picacho Peak State Park and Saguaro National Park further south; both uniquely grow the giant saguaro cactus, which can only be found in parts of the Sonoran Desert. Picacho Peak State Park has a visitor center, park store, picnic areas, RV-friendly campsites, and a dump station. The campground includes 85 sites with electric hookups and WiFi is newly available for an additional fee. They also have group sites available as well as showers and restrooms. 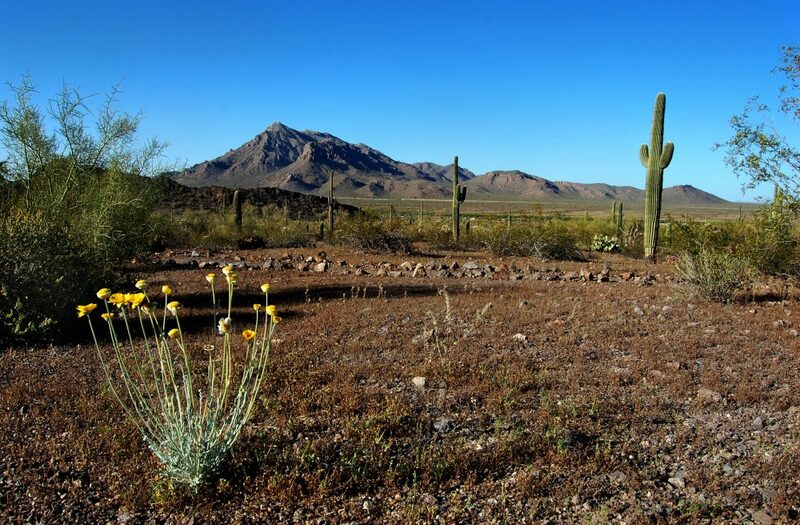 Saguaro National Park is less than an hour from Picacho Peak just outside of Tucson. The park has six campgrounds for backcountry camping, but there are no accommodations for vehicle camping of any kind. 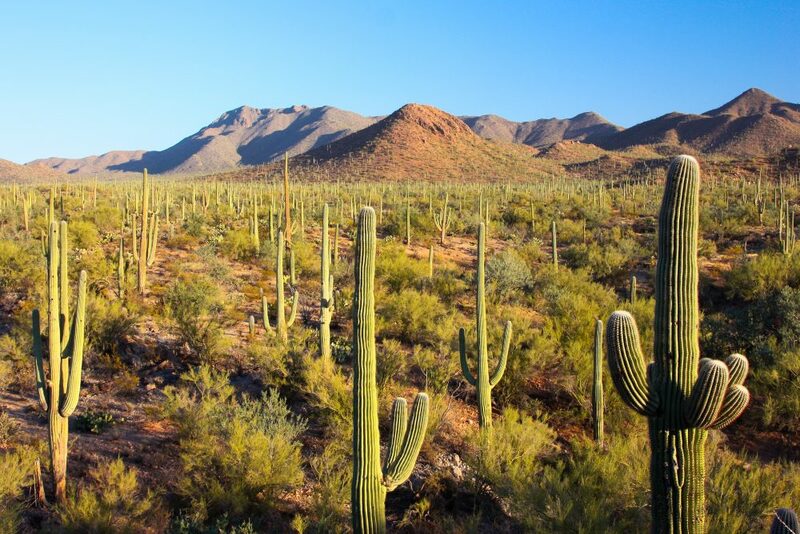 Here you can see the tallest cacti in North America, some of which grow over 50 feet tall! Interstate 10 continues east through New Mexico, passing the historic city of Las Cruces. 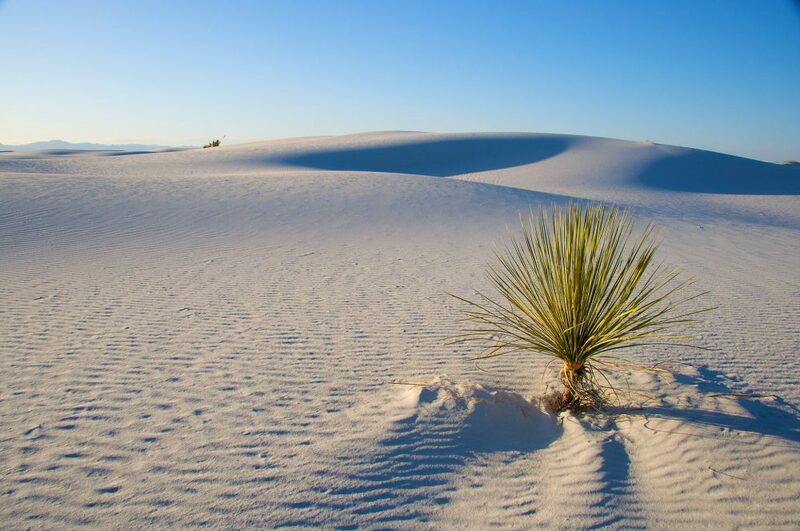 Before you head south into Texas, make a short detour up Highway 70 to see the heavenly landscape of White Sands National Monument. 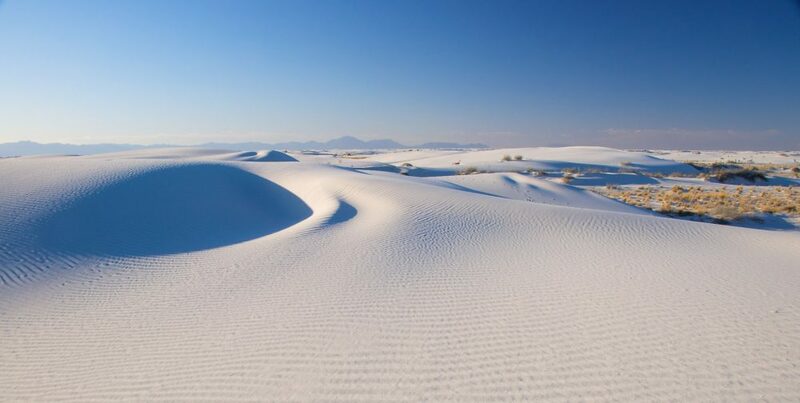 The snow-white dunes are made of a rare gypsum sand that is wonderfully soft and cool to the touch. You and the kids can rent sleds from the gift shop to take down the dunes, or just go for a relaxing walk along one of the trails. Bring plenty of water, as well as sunscreen and a hat as the sun can be strongly reflected off the sand. The park offers daily sunset strolls and an eight-mile scenic drive you can take through the dunes. You can also swing in their visitor center and check out the informative exhibits, gift shop, and a small theater that shows a film on the area’s geology and wildlife. There is no RV camping in the park, but there is a campground nearby at Oliver Lee Memorial State Park and many more options in Alamogordo. 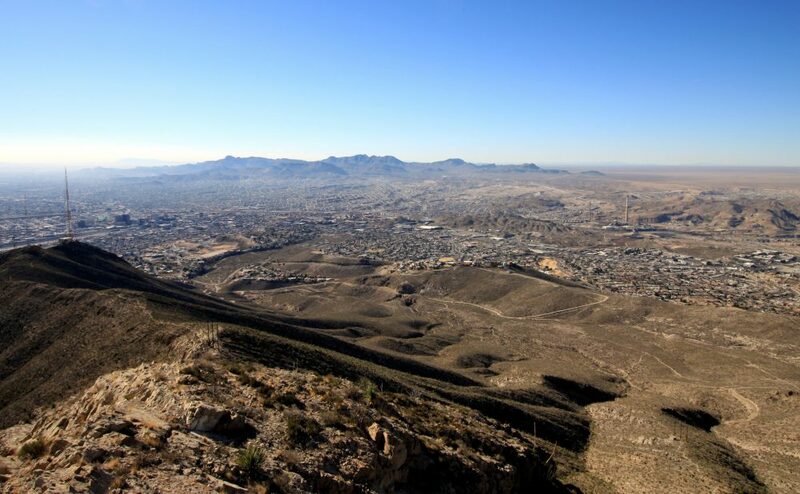 Not long after you cross into Texas, you’ll reach Franklin Mountains State Park in El Paso. This mountainous park is the largest urban park in the US, covering over 24,000 acres within the city limits. The park’s trails draw in hikers and bikers while the mountain peaks and cliffs attract rock climbers and photographers. The Aztec Cave Trail (a steep 1.2 miles) and Tin Mines Trail (about 6.5 miles) are both worth taking the time to explore. The historic mines were operated from 1909-1915 and were the only tin mines ever operated in the U.S. The campground in the park has a few RV-friendly sites, but the sites are not level and have no hookups. You can also find more options nearby in El Paso and the surrounding area. 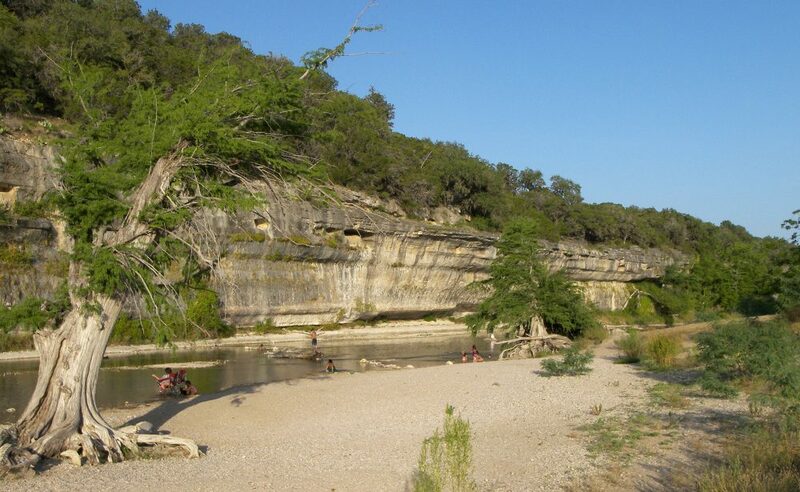 Next, you’ll want to stop at Guadalupe River State Park just outside of San Antonio in the beautiful Texas Hill Country. 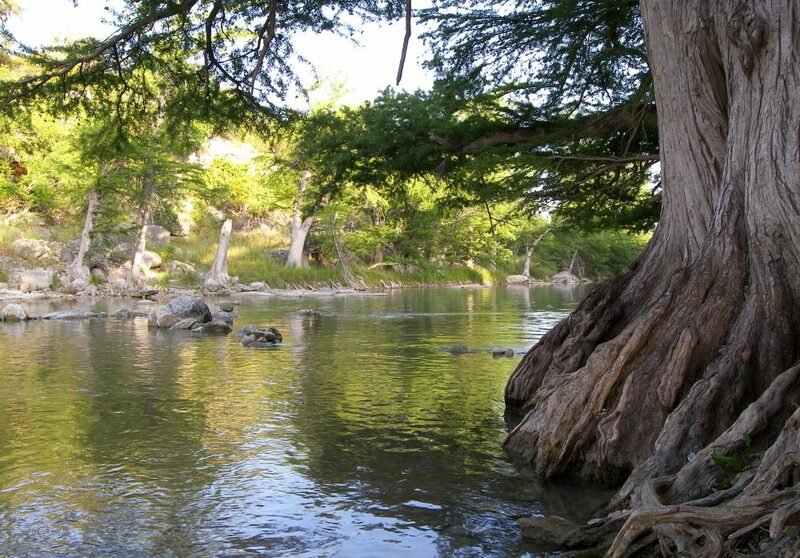 Here you can camp by the river and spend your days enjoying various water activities like kayaking, tubing, swimming, and fishing. The campground has big-rig friendly sites with power and water hookups. The current rate is only $15-24 nightly, which is pretty much a steal for their great location. From here it’s less than an hour to San Antonio, where you can explore more attractions like the famous River Walk. The highway continues towards Houston, where there are lots of RV parks and attractions like the Space Center. Stop and see the sights and taste some of the local BBQ before branching off to camp at Sea Rim State Park on the Texas Gulf Coast. 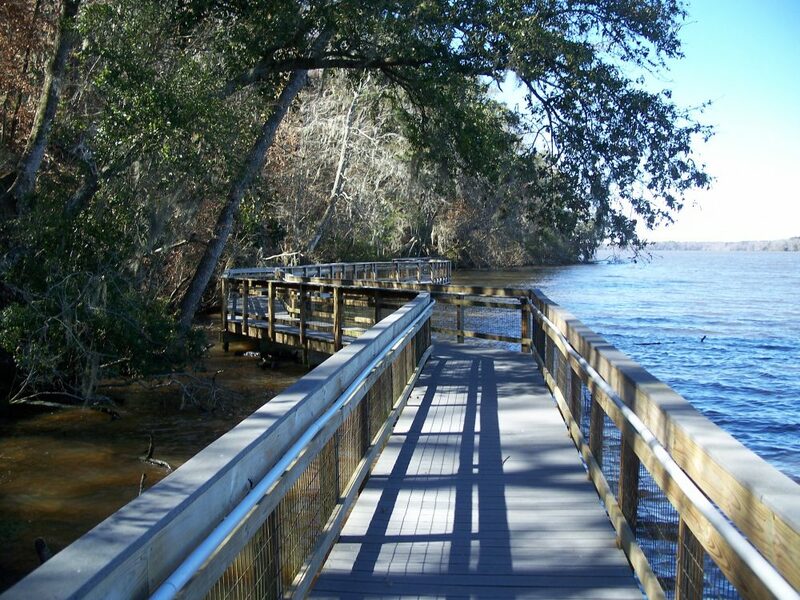 Sea Rim has affordable campsites by the beach and marshlands on the Gulf Coast. 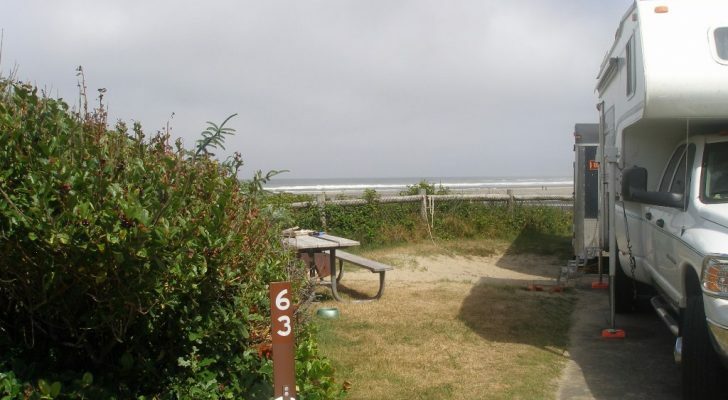 Sites with electricity are only $20 a night and they are just a short walk from the shore. Alternatively, you can also pitch a tent right on the beach. The park has a range of paddling trails as well as kayak and canoe rentals available. As you continue into Louisiana you’ll pass the vibrant cities of Lake Charles and Baton Rouge. The highway parallels the Mississippi River as it makes it way towards New Orleans. 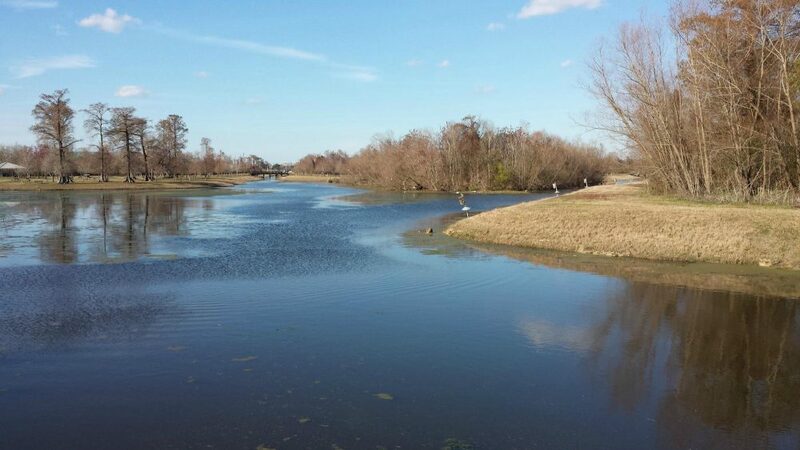 Bayou Segnette State Park is a more quiet camping location only a half hour drive from New Orleans and the French Quarter. The campsites all have water and power hookups and are a very affordable way to see the city at $33/night. The park’s unique location makes it possible to go saltwater and freshwater fishing, as well as boating and canoeing. 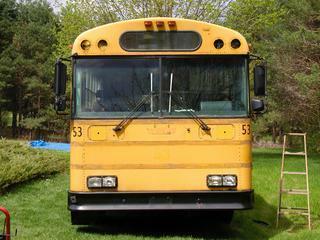 Kids will also appreciate the seasonal wave pool, picnic areas, and playground. The interstate only spans about 66 miles through Alabama, but it is worth taking another detour to camp by the beach on the Gulf Coast. 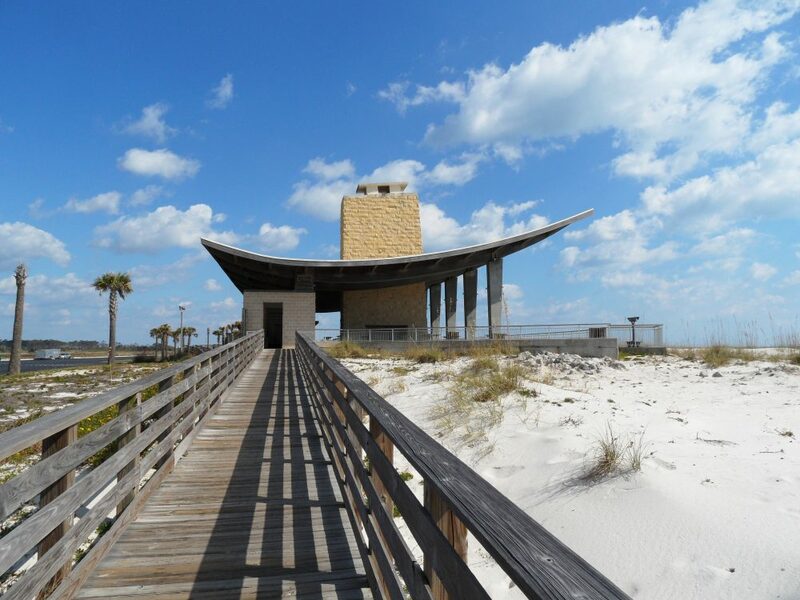 This state park has a uniquely designed beach pavilion and the largest pier on the Gulf of Mexico. There are almost 500 tent and RV sites available at the campground including full hookup sites that can accommodate large coaches. The campground also has modern bathhouses, laundry facilities, a swimming pool with a splash pad, and bike rentals. Florida’s Emerald Coast has many destinations like Pensacola, Destin, and Panama City Beach that make great side trips before you reach Lake Talquin State Park in the Tallahassee area. This park is about a half hour west of the city with a peaceful setting to hike, fish, kayak/canoe, and bird watch. There is also a 650-foot long boardwalk you can walk along for idyllic views of the lake. Coe Landing Campground has shaded RV sites along the lake for $24/night, less than ten minutes from the park. 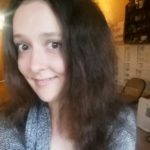 The sites include full hookups and access to the campground’s hot showers, dump station, restrooms, picnic shelter, and private fishing deck. Before following Interstate 10 to its end in Jacksonville, take a day to stop and explore Big Shoals State Park near White Springs. 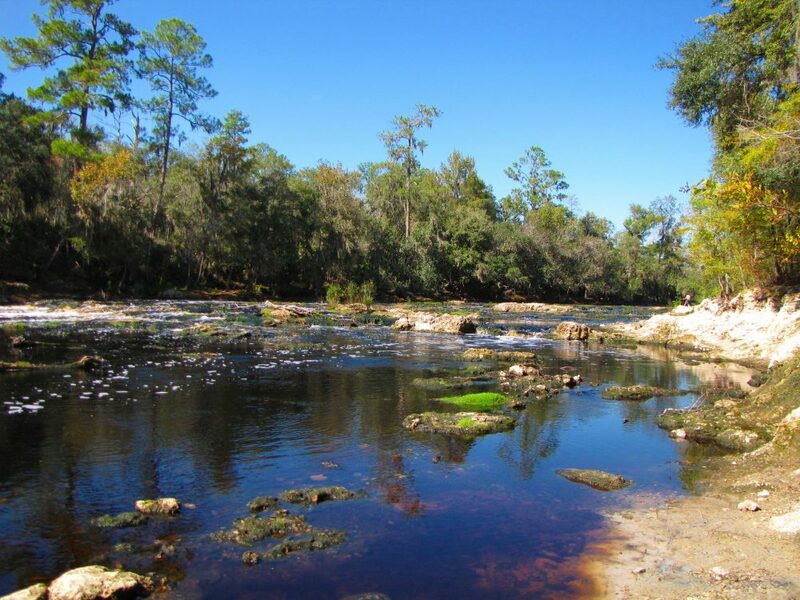 This park has the largest whitewater rapids in all of Florida, massive limestone bluffs, and lots of wooded trails for hikers, bikers, and horseback riding. The park is only open for day use, but there are several options nearby for camping. Stephen Foster Folk Culture Center State Park has water/electric RV sites along the Suwannee River, as well as a museum, gift shop, bell tower, and a picnic pavilion.